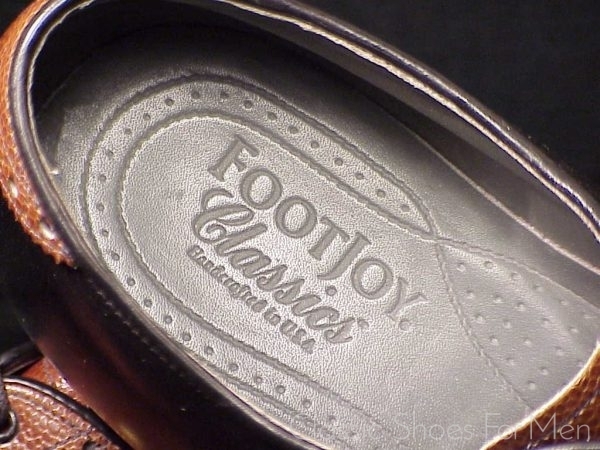 This shoe is among the last of its kind; Footjoy’s American workrooms are no more. The build quality of Footjoy special order shoes is on a level comparable to the very best ready-mades in the world today and the leathers used by Footjoy are equaled by very few modern products. 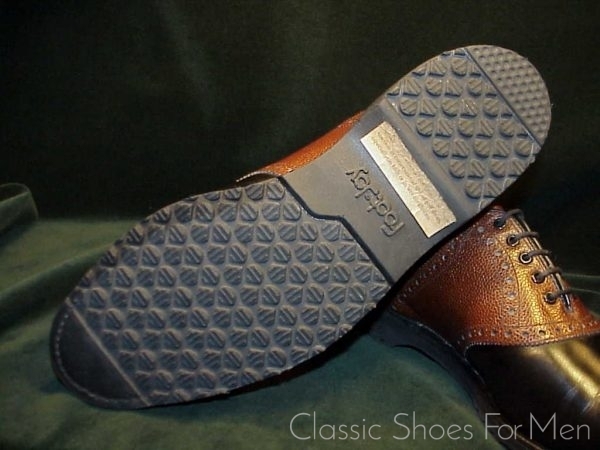 Moreover FootJoys shoes for street or golf are among the most comfortable shoes that money can buy. 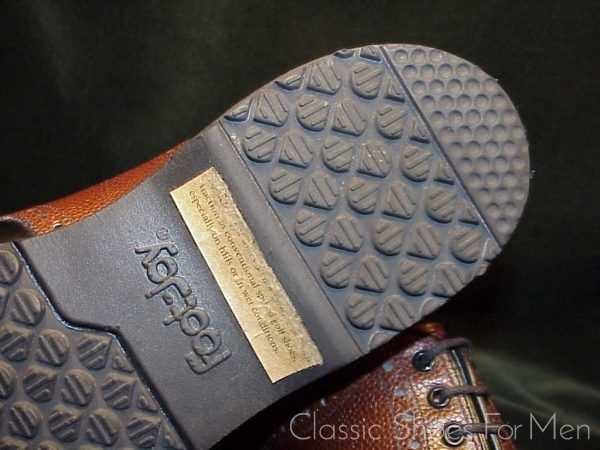 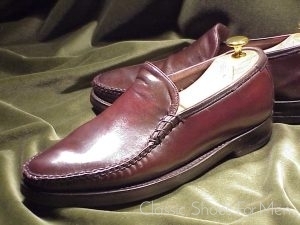 There is something about this brand, about their last (Leist) and their footbed that just works. Perhaps because their clients are going to spend the day walking on the green that they have developed a shoe that really cradles the foot. 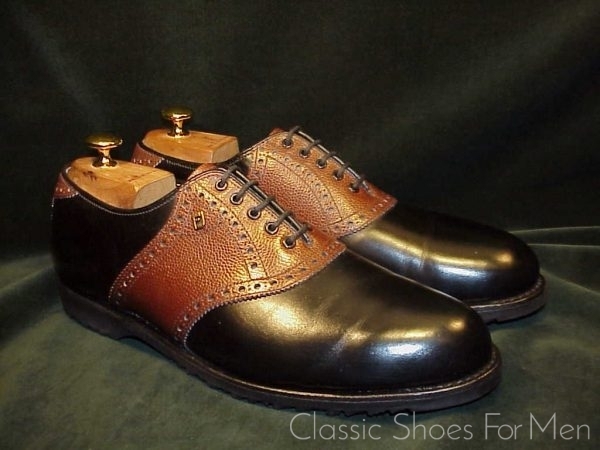 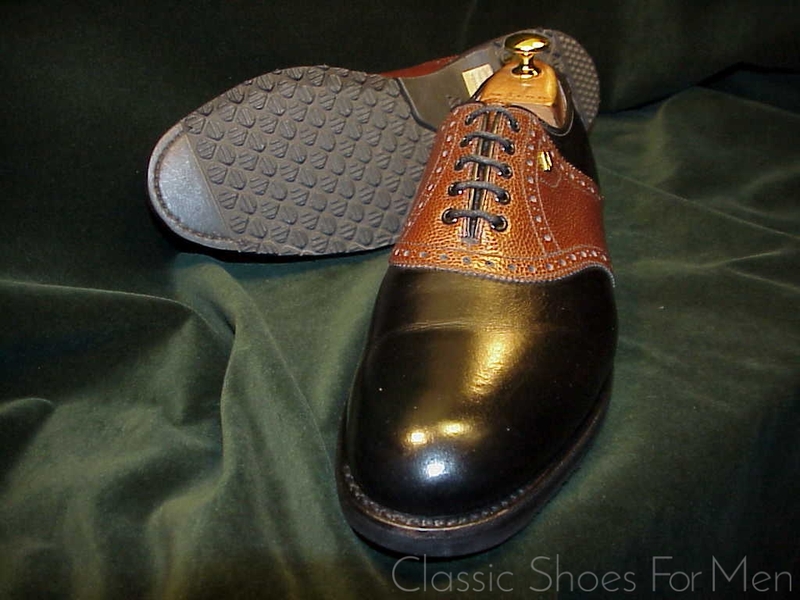 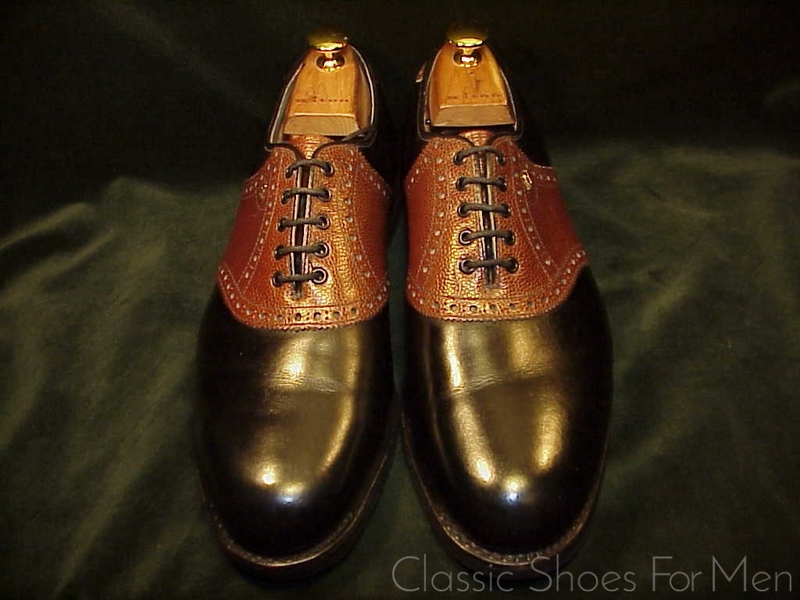 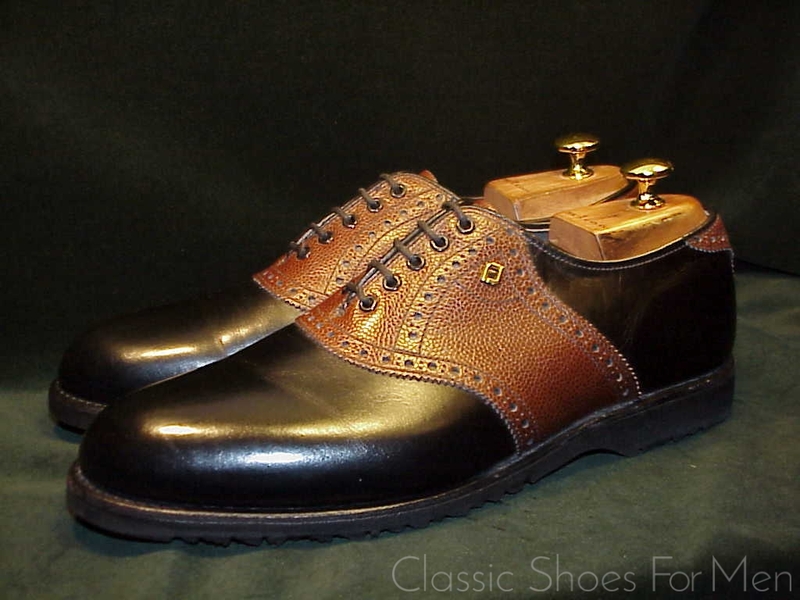 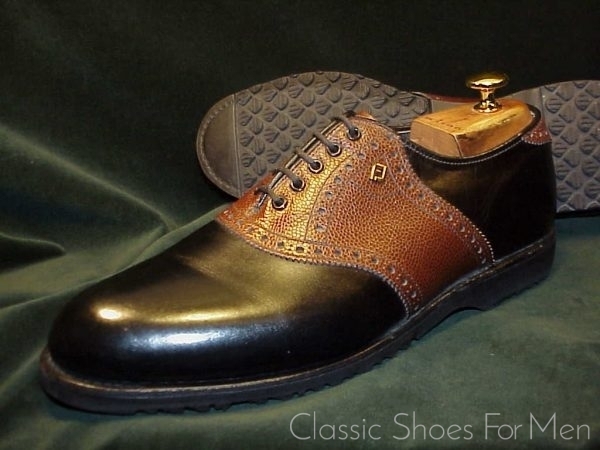 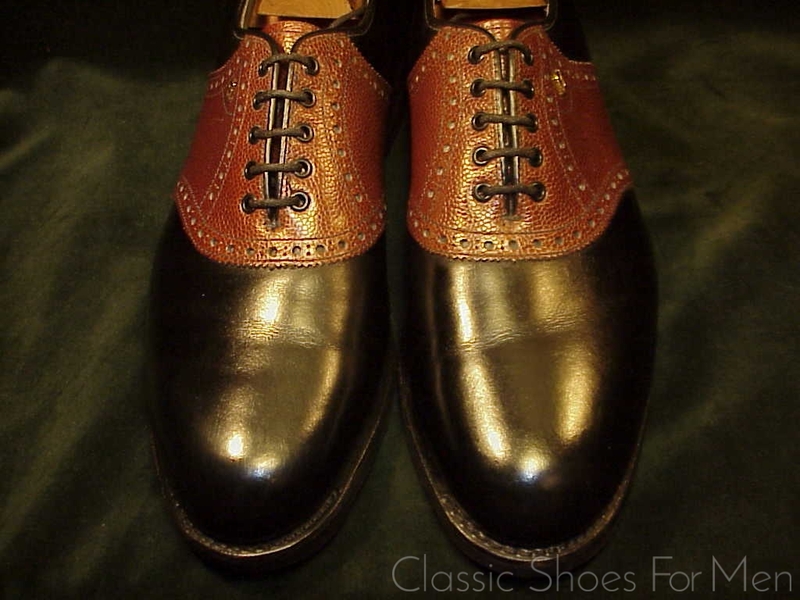 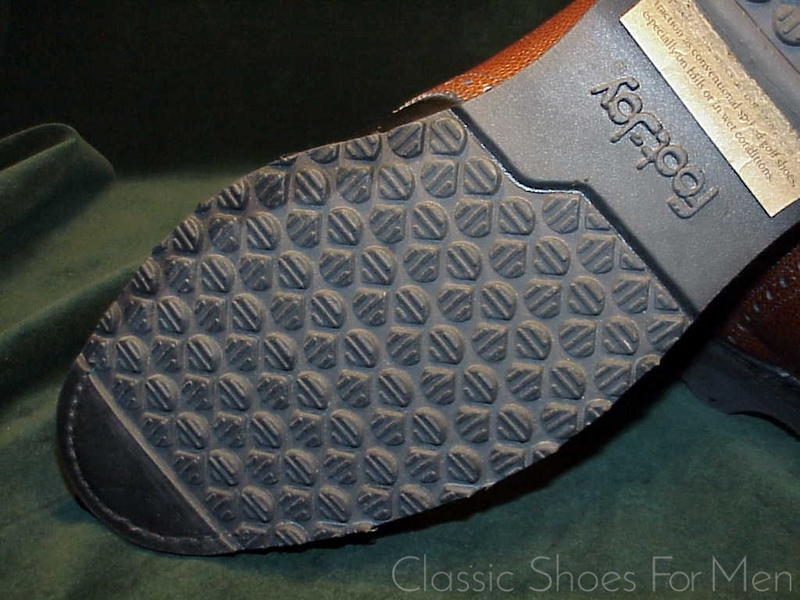 I would say the same thing about the vintage Florsheims but FootJoy is even superior to them as regards comfort. 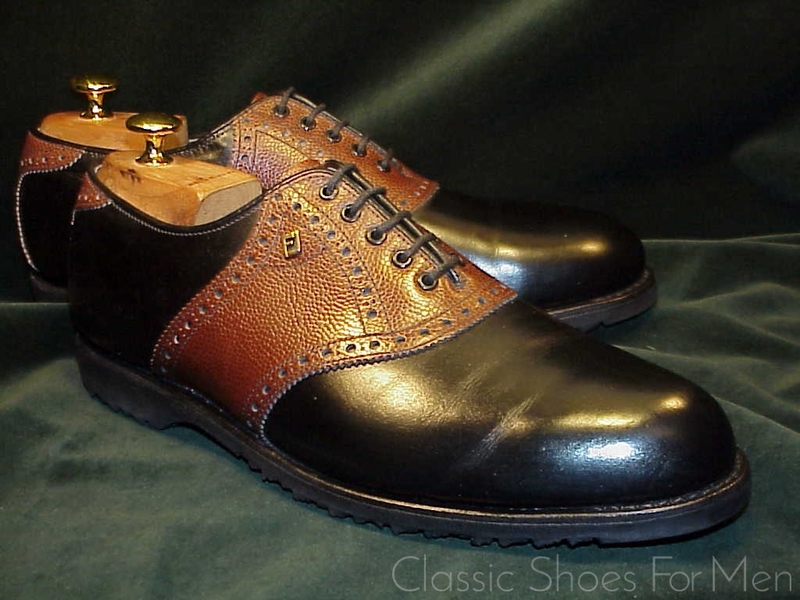 Be kind to your feet and knees with this most comfortable of all shoes. 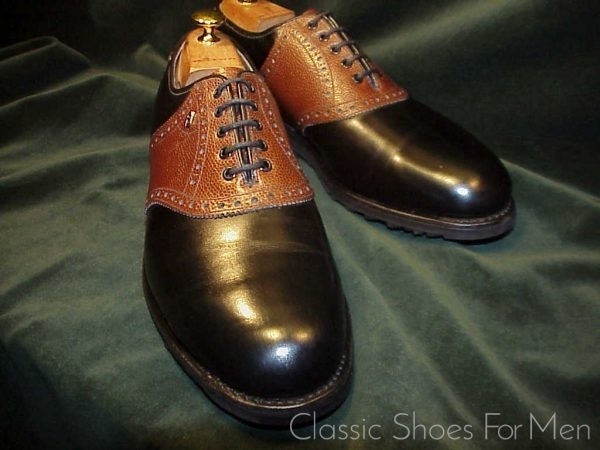 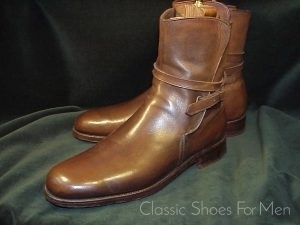 This pair, with its brown, brogued, scotch-grained saddle over smooth black calfskin, presents, in my view, a particularly lovely combination. New. 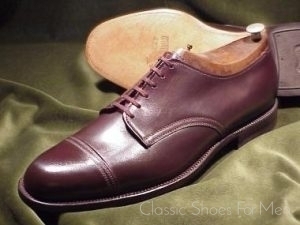 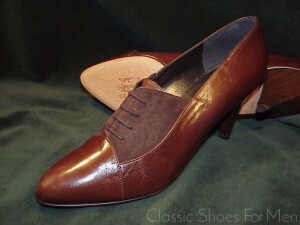 A floor model from the erstwhile San Francisco shop, tried on, never worn.